So I’ve been keep this quiet for a while, but for the last year or so I’ve been writing what will become my first (and hopefully not only) book. 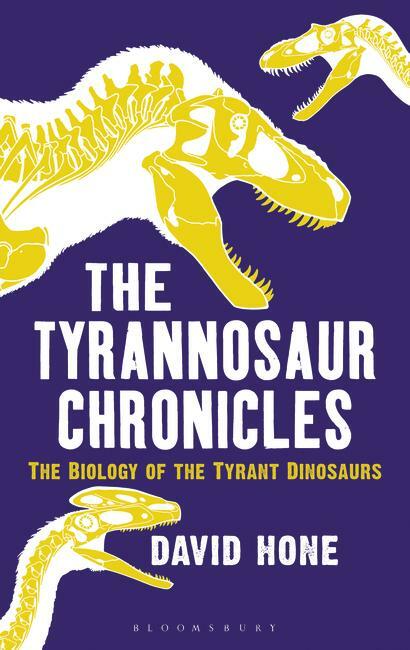 It’s a popular science book with Bloomsbury Press and their new Sigma range of titles, all of which are science / natural history and it’s due out in early 2016. Obviously it’s a dinosaur effort and this is focused squarely on the tyrannosaurs. It tries to cover everything from their origin to extinction and that means evolution, taxonomy, anatomy, physiology and mechanics, and in particular my areas of special interest in ecology and behaviour. It’s not quite wall-to-wall dinosaurs since there’s the context of their environments, competing carnivores and potential prey and that means some other things do at least get a look it. As will be obvious from the cover, Scott Hartman has been involved and in addition to the skeletals adorning it, there’s a bunch of his renditions inside too. 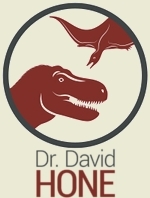 (Those who read his blog might have spotted the recent plethora of tyrannosaurs and this book is part of the reason for his push on them). So that means at least some bits of the book will be accurate and in a desperate attempt to make sure the text isn’t too littered with errors, Tom Holtz has been good enough to plow through the entire thing for me (so I’ll blame any remaining mistakes on him going too fast). More seriously, I really can’t thank them both enough. Right, that’s enough shameless self-promotion for now, so I’ll return to editing the thing and watching the Mexican standoff between my geckos. Thanks for reading the blog, and hope you might read the book.